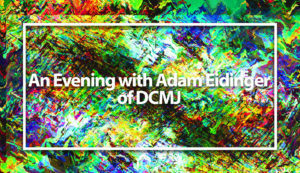 Join us Saturday, May 13th, for an evening with D.C. cannabis pioneer Adam Eidinger. As co-owner of Capitol Hemp and co-founder of DCMJ, Mr. Eidinger has played a pivotal role in the legalization of cannabis in Washington, D.C. via Initiative 71. A true hero for the local cannabis community, Mr. Eidinger will share his experience and knowledge with us in his home. This is an opportunity for those interested in or involved in real social and political change to learn and take notes! Mr. Eidinger will give a talk about where drug reform is headed, followed by a Q&A session with the audience. Admission is $10. All proceeds go directly to D.C. Psychedelic Society so we can continue to bring you informative and engaging events. Admission is limited to 50.